There is a personal opportunity for you to gain a new awareness during the 3 days following the July 3rd Full Moon. This new awareness may occur through an act of "sacred destruction." This sacred destruction involves the tearing down, the dismantling, of obstacles standing in the way of your own personal growth. This dismantling process becomes "sacred" due to the difficulty of the task, combined with your recognition that the end result serves a higher purpose. Your new awareness is the result of directly seeing ways in which your character has been tested. You may be required now to focus on the "quality of being" necessary for you to overcome these personal obstacles - those things that block you from being all that you feel you are. The idea of "destruction" encompasses the force or intensity necessary to follow through on what needs to happen in your life. This idea of force is not the strength of pushing through, but the strength of character needed to perform a difficult task. Your new awareness is about who you are and about your "will to transcend" those obstacles which are impeding your sense of freedom. A sense of independence is needed to confront what is standing in your way. This inspired sense of independence is directly shaping both your character and your future growth. It provides the force for the energy needed to fuel the sacred destruction. 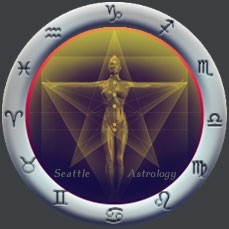 Our country's Independence Day is connected each year to the natural cycles and prominent frequencies which correspond to the archetype of the Zodiac sign of CANCER. CANCER symbolizes a level of integration in which an individual can experience personal independence and freedom from that which has molded and shaped their personality in the past. CANCER represents the ability to establish oneself in the world as an individual and then to extend that relationship in meaningful ways. It is only through establishing oneself at a new level of independence that we are able to have the freedom to establish new relationships and connections in the world. For this reason, Cancerian types often find great value and purpose in connecting with the idea of home, and establishing themselves firmly in their community. The founders of the United States could have chosen any number of names for the birthday of their nation. I find it extremely fascinating that the natural cycles of the year are so well reflected in the name chosen to represent the 4th of July. The ideas of freedom and independence run deep during this time of the year. As a nation we are supporting our individual urge for freedom. The deeper question to ask yourself is, "What will I do with my freedom and how will I express it in the quality of my personal relationships?" The prime time of the current cycle is July 4-6, the 3 days which follow the Full Moon. This is a perfect time to reflect on the deeper meaning of your own freedom and independence. We can realize that we each have the freedom and support of the natural energies to create new and deeper relationships and connections in the world. It will be through these deeper relationships that we receive the awareness and stability needed to nurture and love those around us who mean the most. Happy Independence Day!